St. Valentine’s Day, is right around the corner! Stop in and I’ll help you pick out the perfect gift for your sweetheart;) Hatch is all local, all the time. 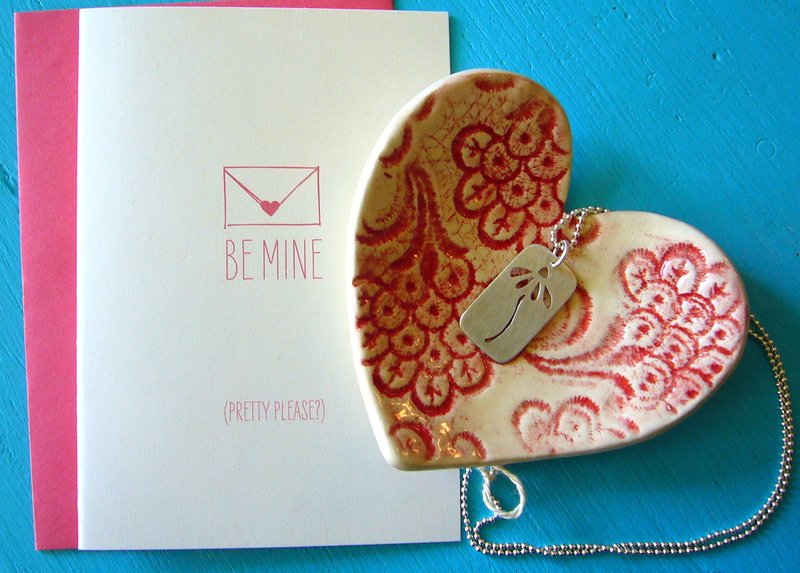 Card by Jack & Ella Paper Press ($3), ceramic heart dish by Jenny Blasen Pottery ($10) and hand-cut sterling silver coneflower necklace by Erin Bowe($92). Love!! I want the heart dish! Is it available for purchase at the gallery? Elsewhere?! Do tell!